BOB ABERNETHY: We begin today a series of special reports we call “Exploring Religious America.” We ask: How religious are we, and how are we religious? The answers: We are very religious, but perhaps not as religious as we say we are or used to be. At the same time, for the country as a whole, we are religious in an extraordinary number of ways. In the most recent surveys, as for many years, 90 percent of Americans tell pollsters they believe in God or a higher power. Sixty percent say they pray every day. Even half the people who profess no religion say they pray, too. The number of these so-called seculars — atheists, agnostics, and other unchurched — is going up: one survey says it is now 14 percent. But the overwhelming majority of Americans say they are religious and 80 percent identify themselves as Christians, worshipping in 300,000 congregations in more than 4,000 denominations. In partnership with U.S. NEWS & WORLD REPORT, RELIGION & ETHICS NEWSWEEKLY conducted a national poll on religion and spirituality in American life. Eighty-seven percent say religion is important in their lives. Eighty-three percent say they have experienced God’s presence or a spiritual force that felt very close, and 46 percent say they have felt this many times. 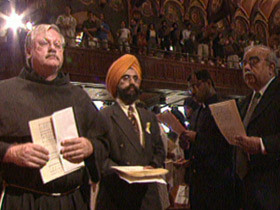 More than three fourths say religious faith has been important in dealing with the attacks of last September 11. Also, a dramatic shift: when we asked Christians if their religion is the only one that is true, 77 percent said no, all religions have elements of truth. 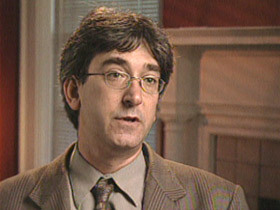 Alan Wolfe is a sociologist at Boston College. ALAN WOLFE (Boston College): Given our history, it is absolutely remarkable, and it testifies to probably the single biggest change in the way people think about religion. I mean, there really was a time when to say “I’m religious” would mean to say “My way is the only way.” And that is not how people speak anymore. They recognize that there are many paths and many ways. ABERNETHY: Another change is the country’s unprecedented religious diversity, and today, in Part One of our new series, we look at diversity’s challenges and consequences. 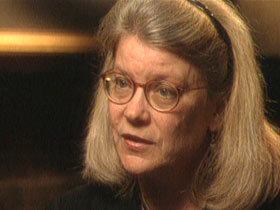 Diana Eck of Harvard University studies what she calls the new religious America. She is a United Methodist who teaches Asian religions. DIANA ECK (Harvard University): In simple terms, we have become the most religiously diverse nation on earth. And I believe that. People will say, well, look at India. Look at Canada. Look at Britain. But if you really look at it… you have something much more complex than we see… in any other part of the world. For much of American history, many Protestant Christians were intolerant of Catholics, Mormons, and other non-Protestants. But now, our new poll shows most Americans are extraordinarily tolerant… or at least like to think they are. Four out of five Christians say they are tolerant of people of other religious faiths. (But only half of non-Christians think Christians are tolerant.) And three quarters of Christians say America’s religious diversity is a source of strength and vitality to everyone’s individual beliefs. But all that tolerance may not be based on knowledge. Big majorities admit they are unfamiliar with the basic teachings of Islam, Buddhism, and Hinduism. And experts say even these numbers may be low. Even bigger majorities say they do not personally know anyone of those faiths. And 48 percent even say they do not know anyone who is Jewish. One reason most Americans know so little about other religions is the geographical clusters in which we worship. Measured by their predominance in each county, Catholics are concentrated in the Northeast and Southwest, Lutherans in the upper Midwest, with Methodists, Presbyterians, and others in a strip beneath them. Baptists sweep across the South. And Mormons are concentrated in Utah and the mountain states. After September 11, there were some hate crimes. But they prompted strong, immediate condemnation. Meanwhile, national political and religious leaders organized interfaith events to help send the message that the country’s enemy was not Islam but terrorism. There was great demand for Islamic leaders as speakers, and learning about Islam became a new national pastime. Nevertheless, in spite of all the efforts at understanding, favorable opinions of Islam have fallen about 10 points since 9/11. Moreover, 39 percent of Americans, in our poll, say there is a larger number of violent extremists within Islam than in other religions. And — perhaps reflecting talk of war with Iraq — more than two thirds say they expect a bigger conflict between Christian and Islamic nations. BOB ABERNETHY, anchor: The actual number of all America’s Jews, Muslims, Buddhists, Hindus, and other non-Christian believers is probably no more than six percent. Still, many Americans want tighter restrictions on immigration, and the growing visibility of new immigrants in many communities is testing the majority’s tolerance. Jeff Sheler, religion writer for U.S. NEWS & WORLD REPORT, covered one such test in suburban Atlanta, Georgia. JEFF SHELER: Lawrenceville, Georgia — a suburb of Atlanta — deep in the Bible Belt, and also home to thousands of Muslims. They’ve built more than a dozen mosques and schools in the area. But they are far outnumbered by Southern Baptists and other Christians. Gary Laderman is a religion professor at Emory University in Atlanta. Dr. GARY LADERMAN (Emory University): The kind of pluralism we’re seeing is unheard of, and we don’t know what the response is going to be. DREW JOHNSON (Neighbor): Number one, they put the cemetery in the middle of a subdivision — health issues, property value, safety for kids. MOIZ MUMTAIZ (Cemetery Supporter): We have worked with the county and with the neighbors to make sure their property values don’t go down. At the same time, we have to do what our rights are in terms of religious rights. SHELER: For many residents, the Muslim practice of wrapping the unembalmed body in a shroud and burying it within hours of death, without a casket, is unacceptable. Funeral services at the nearby Methodist cemetery follow more familiar customs. HEATHER STONECYPHER (Neighbor): I didn’t see a man in a sheet being toted around on someone’s shoulders. I mean it was a coffin, it was very discreet, it was a very quick service, and I didn’t have to be exposed to potential health hazards. SHELER: But were health, safety, and property-value concerns the real issue? Or was something more behind the neighbors’ opposition? County Commissioner John Dunn says he tried to give the Muslims a fair hearing. SHELER: Dunn ordered soil sample and water table studies requested by the community, checked with state and federal health officials and others, and concluded that a cemetery at the site would pose no health hazard. But the neighbors were not satisfied. They complained that another Muslim cemetery south of Atlanta, near Lovejoy, was a hazard and an eyesore. DREW JOHNSON: The issue is we’re afraid there’s going to be an unsightly scene in our backyard as far as unkept cemetery and gravesites, open graves, sunken graves, general appearance of the place, and degeneration of our property value. SHELER: Hafiz Khan, the imam at the Lawrenceville mosque, was willing to compromise on some traditional Muslim burial practices in order to satisfy the neighbors’ objections. Dunn says he tried to find a middle ground. Mr. DUNN: Obviously, I wasn’t going to require that they embalm. I wasn’t going to require that they have a hermetically sealed casket in a hermetically sealed vault, because that would seem to strike at the foundation of their burial beliefs. So I didn’t want to do that. But what I did want was something that was safe. 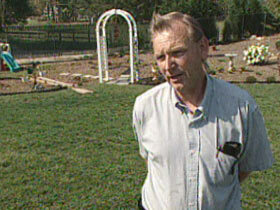 SHELER: The commission approved the cemetery, with conditions: Unlike the Islamic cemetery in Lovejoy, people would be buried inside wooden caskets and open-bottomed vaults, no graves would be dug more than 24 hours in advance, and an eight-foot-high wooden fence would surround the cemetery. Leaders of the mosque agreed, even though it meant modifying their traditions. Mr. MUMTAIZ: But that does not violate the Islamic burial process in any way. SHELER: Still, the residents were not happy, and several homes have gone up for sale. That leaves Dunn and others convinced that something more was afoot. Mr. DUNN: Every time that I’d come up with an answer, a solution to one of their questions, it seemed like there was always something else that would come up. SHELER: Joshua Salaam of the Council on American Islamic Relations says it’s not unusual for religious intolerance to show itself in land-use cases such as this. JOSHUA SALAAM (Council on American Islamic Relations): It happens enough where many times it’s worthy to investigate the issue, and that’s what we’ve found. SHELER: Members of the mosque seem satisfied and are moving forward. But Professor Laderman of Emory University says the Muslim compromise on burial practices illustrates the kinds of accommodations religious newcomers often must make in adjusting to new surroundings. Dr. LADERMAN: But the Christian groups also in the area will have to modify their stance about religious toleration, about religious openness to new people in the community. SHELER: One adjustment local Christians may have to consider, Laderman says, involves proselytizing. Dr. LADERMAN: Well, the recent resolution by the Southern Baptists to proselytize Hindus, for example, as a primary goal in their missionary activity. I think that’s an extreme reaction, and that doesn’t sit well with many people who want to celebrate American religious freedom. 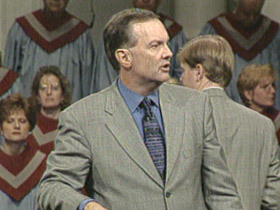 SHELER: Pastor James Merritt, president of the Southern Baptist Convention, leads a church one town over from Lawrenceville. But he supports diversity and is not convinced adjustments are needed. JAMES MERRITT (President, Southern Baptist Convention): One of the things that I’m grateful for in America is that we do have religious diversity. SHELER: But that doesn’t lessen his commitment to evangelism. Mr. MERRITT: Evangelism for a Christian is not an option. It’s an obligation. 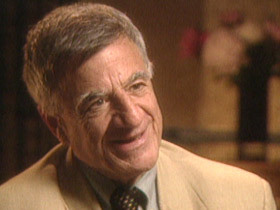 Dr. LADERMAN: I don’t think you’ll find any religious groups giving up their belief in a Truth with a capital “T”. But, in terms of daily practice, in terms of how they arrange and schedule their lives and their communal rituals, there will probably have to be adjustments. SHELER: As the nation becomes more religiously diverse, experts say American culture itself is likely to face difficult adjustments. And not everyone is ready for that. Dr. LADERMAN: It’s going to be difficult to for the nation to hold all of these forces together, especially because they have such a wide-ranging, diverse number of values — value systems and sacred texts and commitments and motivations. SHELER: Living together peacefully and productively in a patchwork of religions, many experts say, will require a greater commitment to local interfaith activities — to personal engagement with people of other faiths in local civic projects and in interreligious dialogue. 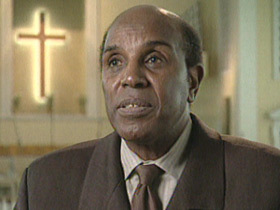 Gerald Durley is a Baptist minister and leader of Atlanta’s interfaith community. Pastor GERALD DURLEY (Missionary Baptist Church): If there’s ever to be a civilization that is somewhat progressive, people must understand one another, trust one another, and respect one another. Mr. MERRITT: A lot of times what people are interested in, in these interfaith gatheringss is basically, “Let’s all come together and,” implicitly, “let’s affirm the truth claims of one another and let’s affirm that we’re all equal and that your claim is no more valid than mine and mine is no more valid than yours.” And, obviously, as a Christian, believing that Christ is not just a good way to heaven or the best way to heaven, or even the Baptist way to heaven; that he is the only way to heaven, we can’t compromise that singular belief. SHELER: In spite of their religious differences, Christians and Muslims in Lawrenceville did find a compromise on the cemetery. 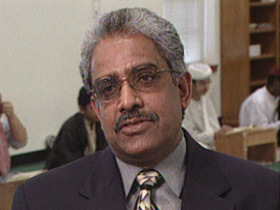 Mr. MUMTAIZ: I think the purpose of our religion is to promote peace, and that’s our goal. Dr. LADERMAN: It was probably a big deal to make the change, ’cause they would prefer not to. But, on the other hand, this is a face of Islam that we need to see more of, I think, in America, which is one that is about being good neighbors. SHELER: For RELIGION & ETHICS NEWSWEEKLY, I’m Jeff Sheler in Lawrenceville, Georgia. ABERNETHY: According to our new poll, one quarter of American Christians — like James Merritt of the Southern Baptist Convention — say they have a duty to convert people of other faiths. Twenty-four percent. But 70 percent say Christians have a duty to be tolerant of people of other faiths and leave them alone. 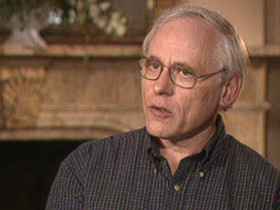 Sociologist Robert Wuthnow of Princeton University says this tolerance reflects a huge change in certainty. ROBERT WUTHNOW (Princeton University): For many, many centuries, Christians have thought they had the truth, and that other people did not have the truth in the same way. And now, Christians are not quite so sure of that. They are more likely to say, “This is true for me.” And that radically changes the meaning of truth, when it’s just true for you and not necessarily true for somebody else. ABERNETHY: Professor Wuthnow sees a question. WUTHNOW: How much are people thinking deeply about the truth of their own religion, their belief in Christianity, and what they mean by other religions being true? I don’t think a lot of people have really sorted that out, and I think that’s going to be a big issue for people in churches, pastors, people in seminaries, to start sorting out or finding some clear guidance. ABERNETHY: Tolerance of other religions may already have changed how many evangelicals think about proselytizing. Alan Wolfe. WOLFE: What they say is that “My commitment to evangelize is for me to live the best life that I can, for me to be a witness to Jesus by being exemplary in what I do.” And more and more that’s what the duty to evangelize consists of. ABERNETHY: Diana Eck of Harvard says religious diversity presents Christians with an obligation to listen. ECK: I think the thing that many people who are not Christians feel about Christian evangelism and mission is that it is so one-way, it is so one-sided. And it has, it has all mouth, you might say, and no ears. And I think that’s — as a Christian, I would say that is a wrong understanding of what kind of relationship we should have with people of other faiths. 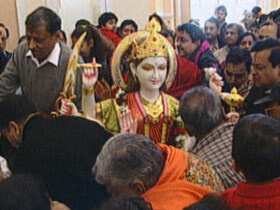 ABERNETHY: Among other lessons, Professor Eck thinks Christians can learn from Hindus new ways of thinking about the many attributes of one God; from Buddhists, an emphasis on compassion and being mindful; from Muslims, the habit of stopping everything five times a day to pray; and from all, hospitality. ECK: I think Christians need to recognize across the board that the Christian church does not have a corner on compassion and love, the virtues that are called in St. Paul’s letter to Galatians the “fruits of the spirit.” These are things that are widely shared, and we need to keep our eyes open for them wherever we find them. ABERNETHY: America’s democracy and freedom, and ideal of equality, have changed virtually every previous religious immigrant group, and Alan Wolfe says it will continue to do that. He spoke of Muslims. WOLFE: Muslims who come here from very, very traditional religious environments are already changing their religion. You can’t have the traditional Islamic attitude toward women that you might have had in Pakistan or Saudi Arabia, come here to this country, and keep it up. It’s not going to last. The culture is going to influence you, and you are going to change. And that is very much what happened to Catholics, and it is very much what happened to Jews. ABERNETHY: Our poll asked Americans whether they think having many different religions in the U.S. makes it harder to keep the country united. Fewer than a third say it makes it harder; 62 percent say it does not. Diana Eck says she is optimistic that the U.S. can be both religiously diverse and united. ECK: We have this challenge in the United States to do something that has really never been done before, which is to create a multireligious and democratic state. ABERNETHY: Summing up, there’s been a historic shift in the variety of religions in America, in the confidence of Christians that theirs is the only truth, and in greater tolerance of the religions of others. 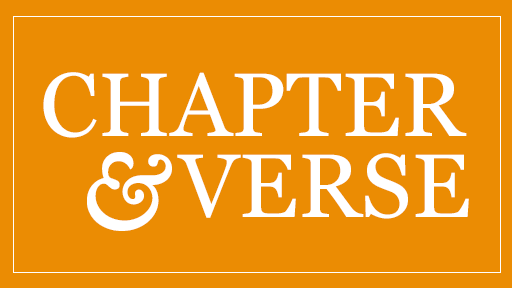 That’s our report on diversity — Part One in our new series, “Exploring Religious America.” In the next two weeks, we look at Christianity and the experience of being Protestant or Catholic. Then, American spirituality, in churches and outside them. Finally, we will try to measure the strength of American religion in the face of all the ideas and forces that challenge it.